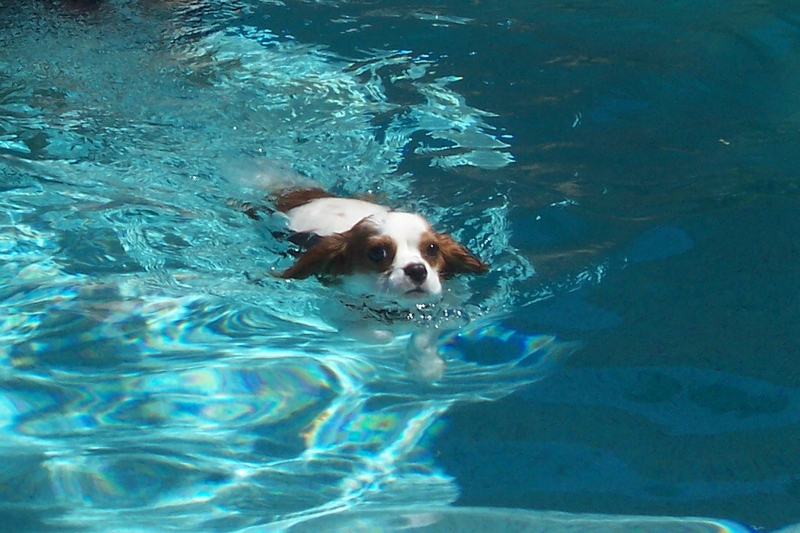 Why hire a professional pet sitter? . . . If you’re serious, consider PSI. Because of the programs available to PSI members, a PSI pet sitter is able to offer pet owners cutting-edge technology and information for in-home pet care. 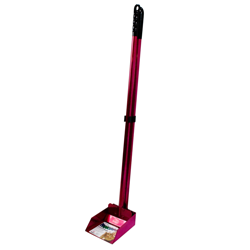 And each of these programs has a direct positive influence on the quality of service that you and your pets receive from a PSI pet sitter. Confidence –Liability insurance and bonding policies available to pet sitters through their PSI membership let you know that you are dealing with a reliable, responsible business professional who cares about your home and your property as well as your pet. 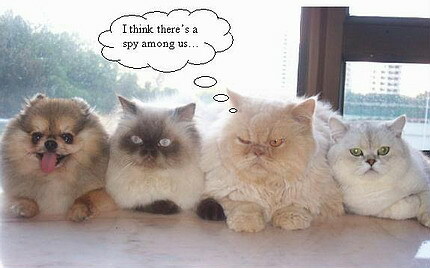 ASk for a bonded and insured pet sitter! Pet Care Safety – Castle Branch Inc’s background screening services allow the pet-sitting business owner to screen prospective employees. This can help to ensure that any staff sitter who comes to your home is a legitimate, law-abiding, pet lover who shares your feelings for your family pets. Find a professional and caring pet sitter today. As a member of Pet Sitters International, your pet sitter is in a great position to look after your pet when you can’t be there – from cat care to dog sitting, from exotic bird care to overnight pet care and more. For more information about how these PSI member benefits can help you and your pets, ask your pet sitter or contact PSI at (336) 983-9222 or info@petsit.com. Meet my Client of the Month —- >The Wonderful Westies, Sammie, Baja, Jelly and Sue Bowman! 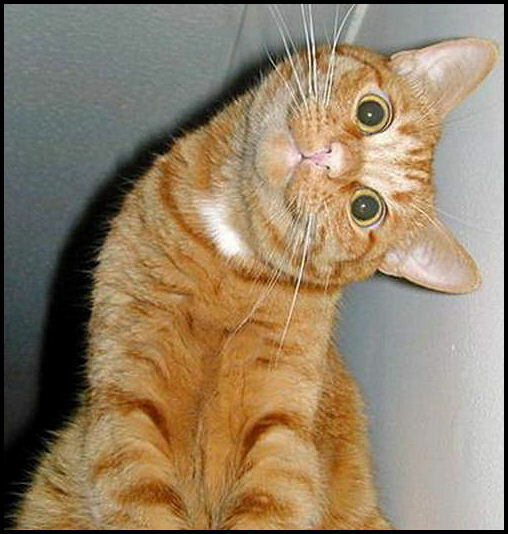 Ok, so some people say I am animal crazy, and every once in a while I meet a client who is just like me! I must say, Sue and her gang fit the bill! 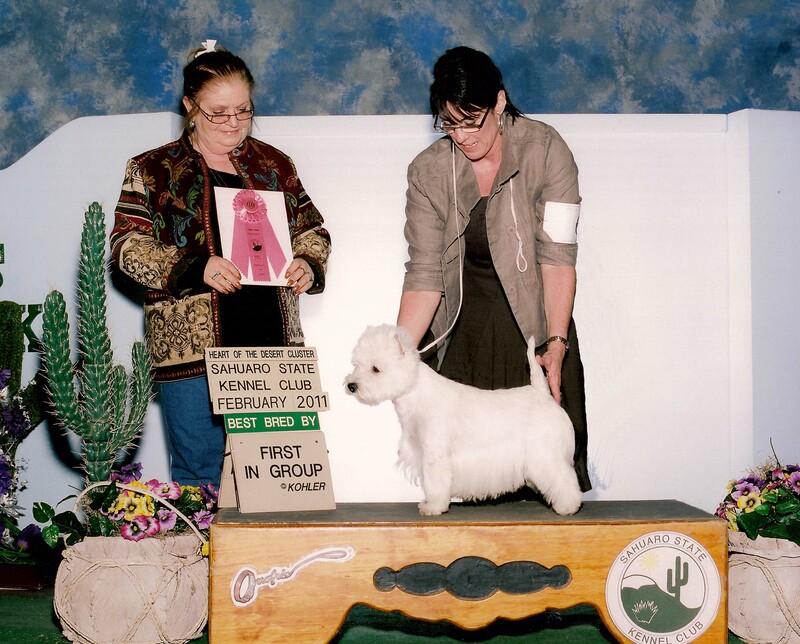 Not only does Sue rescue, as sweet Sammie will attest to that, but she has gone above and beyond with her Westies in care, showing and breeding. The birds of course, really do rule the roost, but don’t tell the Westies that. Levi, Lainie, Vixen and the newest member, Millie, all would say they are in charge! Visiting and caring for Sue’s pets is always a joy for me, as being raised with multitudes of pets, and then becoming a veterinarian technician, I feel more at home with many, than say the singleton pet. 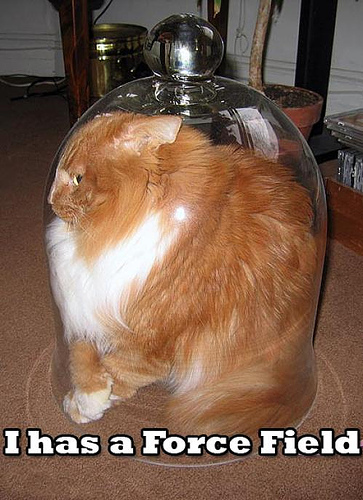 Don’t get me wrong, I love all my single pet households, but for me, I am one of those pet sitters, who have no fear of doing the “3 to infinity” pet homes, and is quite comfortable accommodating them! We’ve been helping Sue for years, and just adore her menagerie, and now we get to play with newborn puppies! I wanted to share Sue’s newest video of the baby with all of you. It’s just the best to spend time watching puppies grow! Also, visit her website, www.delatierrawesties.com, especially if you are interested in, or just want to learn more about how wonderful Westies (West Highland White Terriers) can be! We lost a very special little man. 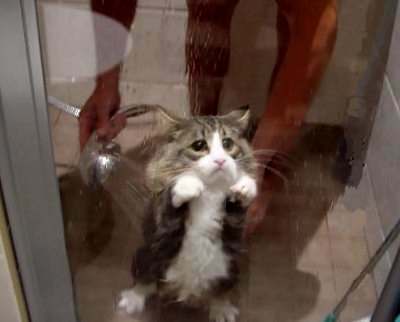 Sometimes we experience the loss of one of our client’s pets, and it is always very sad. Unfortunately, we lost, not only a client’s pet, but he happened to have been a dog I bred. It is even more heartbreaking that he died unexpectedly, very young, and on his owner’s birthday. He was only 6 years old. It is still so hard to think about without crying. 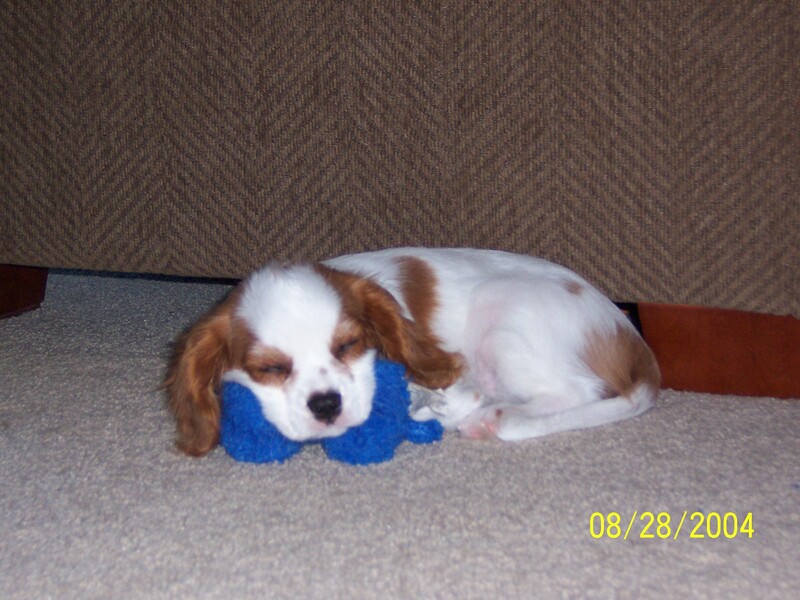 Little Pepsi was indeed very special to his family, the Newcomers: Tom, Kelly, Connor, Nick and Megan. For Kelly and me, our birthdays will never be the same. I hope in time, the fond memories Pepsi gave us, will bring peace to our hearts and put a smiles on our faces. I believe a dog’s purpose in life is to bring joy and happiness to humans. With nearly half the time most dogs are given to accomplish this, I would say Pepsi definitely completed his mission, and crossed over the Rainbow Bridge with pride. What a wonderful little dog! He was an understanding, gentle soul, with an expression that would melt your heart, and a little angelic voice I can still hear! Though my family loved Pepsi dearly, the Newcomers were his “forever family.” I would say Pepsi was perfect at bringing so much love into their lives. The son of our Joy, Pepsi came regularly to visit with us when he could not accompany his family on trips. 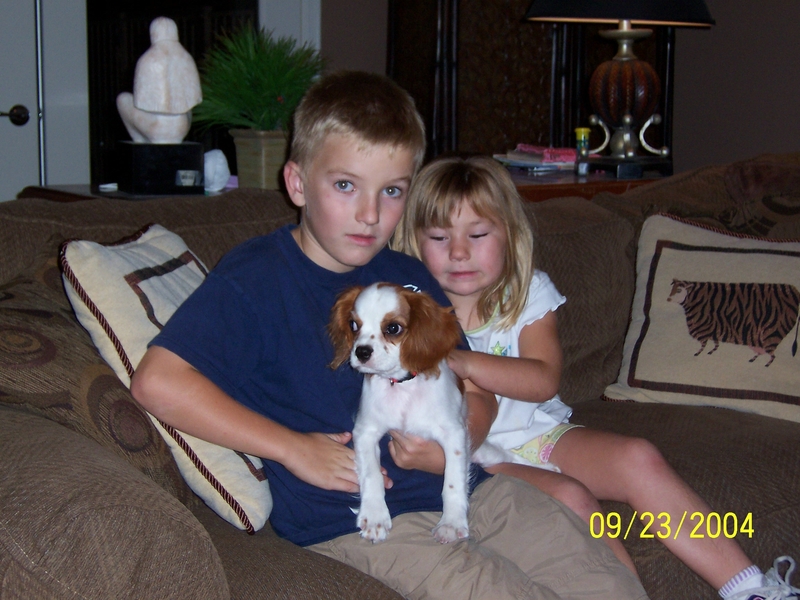 We loved his sweeter than sweet personality, and the way he would came to our home and fit right back into our routine. But he sure knew when the Newcomers were on their way to pick him up. As soon as I would pack up his little bed and toys, he knew it was almost time to be going HOME, and boy would he go crazy! Once Pepsi grew up, he traveled more and more with the family to dog friendly vacation spots and campouts. My family and I were lucky to have had Pepsi with us for a few days, this past summer. We all had a wonderful time playing with him, and watching him and Joy venture around the yard “hunting” together. I think they always knew they were mother and son! Pepsi was not only loved and cherished by the Newcomer family, but was indeed the center of their world. I would like to thank them, from the bottom of my heart, for being such a loving, devoted family to Pepsi. I know that someday soon, another sweet puppy on a mission, will find the Newcomer family to love and bring laughter back to their home. 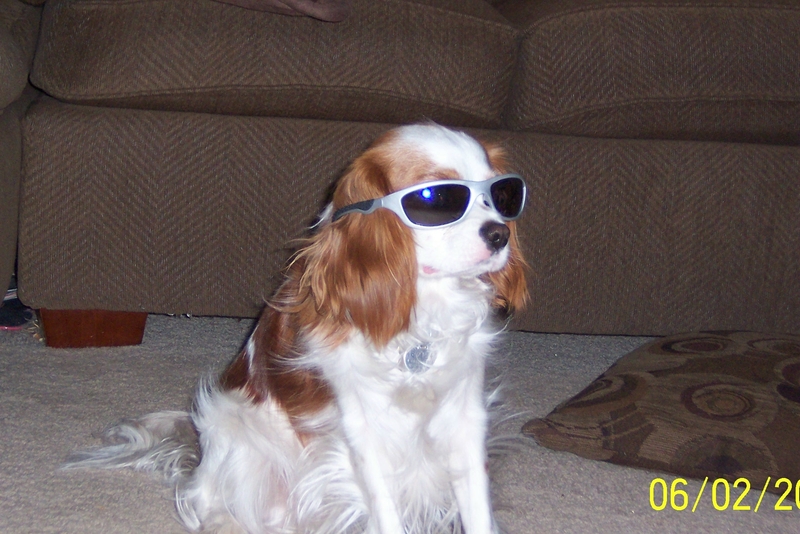 No other dog will ever replace Pepsi. I know he is watching from over the Rainbow Bridge, and he knows we will cherish him in our hearts forever. 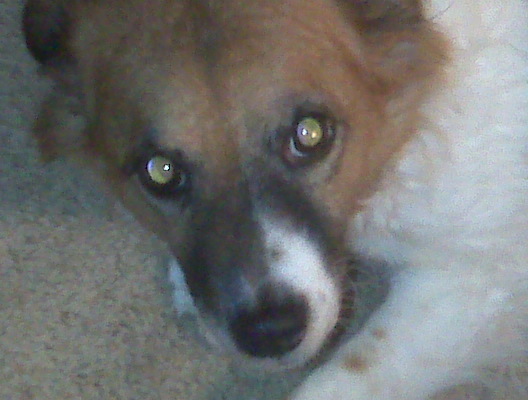 Rest in Peace sweet Pepsi. This incident is a reminder that we never know how much time we have with our pets. They certainly do not have the life span we would prefer. So take each day and please love, enjoy and spend time with them. As we have found, sometimes they are taken, far too soon. 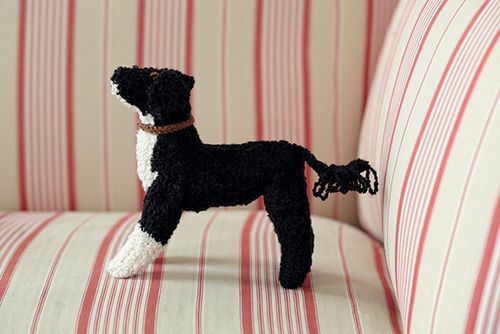 For dog lovers who love to knit! 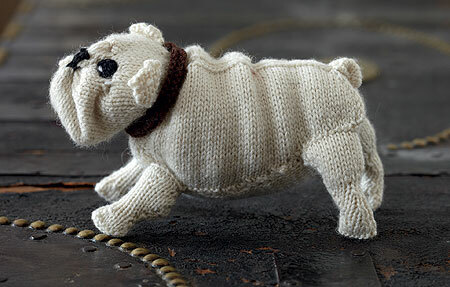 Came across an interesting fad this week: Knit Your Own Dog! From a spotted Dalmatian to a wrinkly Bulldog, the step-by-step patterns in Knit Your Own Dog let you knit your dog or your dream dog! The knitted dog is indeed the ideal companion: There’s no feeding, barking, shedding, or vet’s bills, and he’ll live forever! 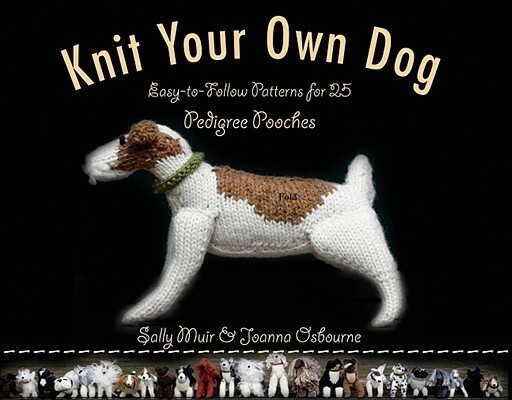 Knit Your Own Dog is the irresistible guide to knitting the perfect pup. 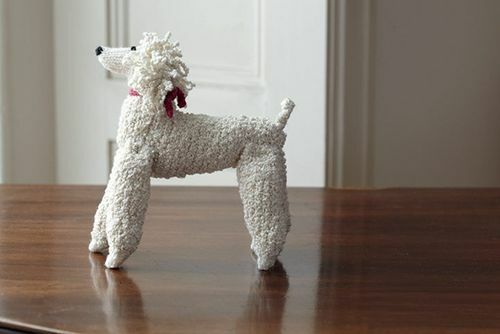 With patterns for 25 different pedigree pooches, Knit Your Own Dog lets you choose the dog you want, whether it’s a pretty Poodle or a loyal Labrador. Or knit them all for a pack of canine fun! Authors, Sally Muir and Joanna Osborne, run their own knitwear business, Muir and Osborne. They have a shop in London and export their knitwear to stores in the U.S., Japan, and Europe including Barneys, Saks, Liberty, and The Cross. They won the UK Fashion Export Small Business Award in 2002 and several pieces of their knitwear are in the permanent collection at the Victoria and Albert Museum in London. Their previous book, Pet Projects, was featured on The Martha Stewart Show. They also have a blog! 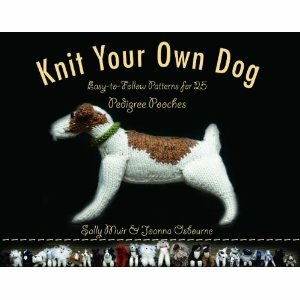 If you enjoy knitting and are perhaps obsessed with your dog, you should definitely get this book! 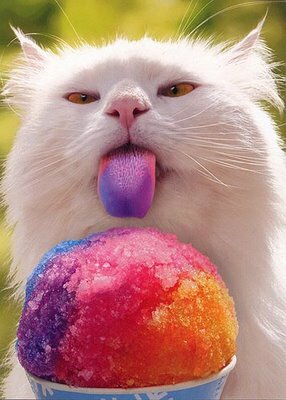 If this doesn’t make you smile, or giggle… I don’t know what will.